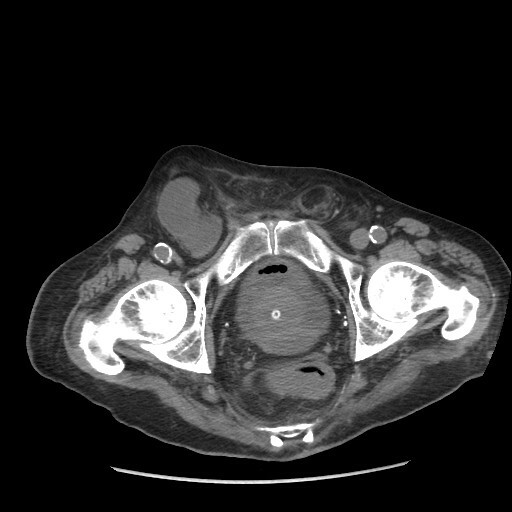 History: 48 year old male presents with abdominal pain, nausea and vomiting and a new right groin mass. Femoral hernia: Single axial CT scan through the pelvis shows a fluid filled loop of small bowel in the right inguinal region. Note, the right femoral vein is compressed compared to the left, indicating this is a femoral hernia. This patient was also found to have a small bowel obstruction secondary to the right femoral hernia.